This 18 x 24 Frame has a Sleek Silver Finish! 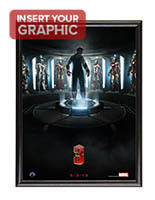 This Snap Poster is Economically Priced! 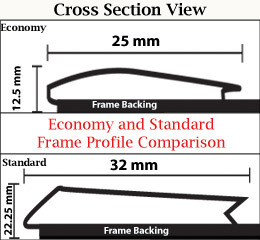 This 18 x 24 Frame has a 25 mm Profile! 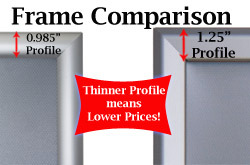 .985" Profile frame is less rigid than thicker profile framing, but this unit is just as stable once mounted. 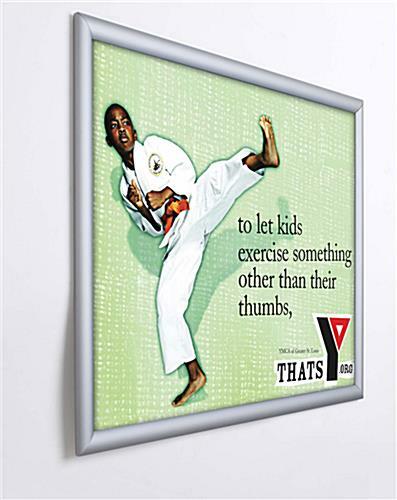 This 18" x 24" frame makes it simple to display large sized posters. Once this display is wall mounted though there is virtually no difference, and the photo holder is stable. This affordable 18" x 24" frame is a steal at this incredibly low price point.This affordable18 x 24 frame is a great addition to any retail display. 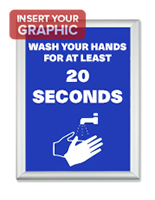 Easily change signage in and out of this poster with the snap-edges of these poster holders. This cheap aluminum 18" x 24" frame has a protective non-glare lens to prevent damage to the prints like dust or weathering. The silver finish on these discount aluminum products visually enhances any print.This affordable 18" x 24" frame is a steal at this incredibly low price point. 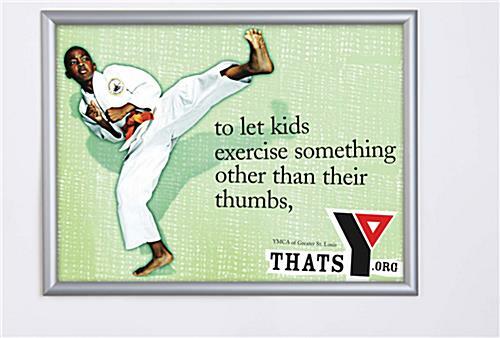 These displays work well for schools and community centers. 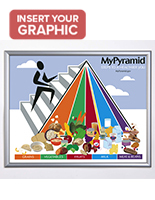 This low-priced 18" x 24" frame saves employees time by making it simple to change prints. Restaurants and retail stores will greatly benefit from these poster holders by efficiently being able to adjust menus, specials and sales. 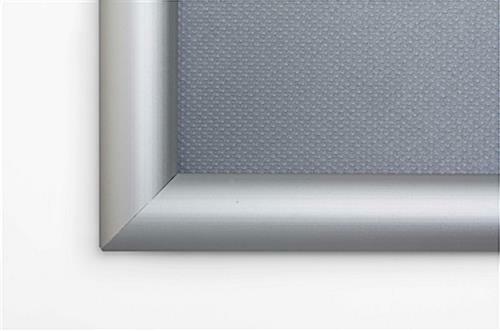 These silver 18" x 24" frames will improve marketing and improve exposure of important documents or posters. 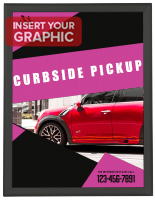 Increase revenue by advertising with these sign holders. These cheap 18" x 24" frames are an excellent value and purchasers are giving up little in quality, with the only difference being the slimmer profile. These discount displays have a sleek design that really stands out in any setting. 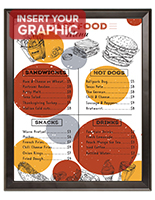 With these economy 18" x 24" frames it's easy to improve signage for your business while saving money. Graphic Size 18" x 24"
19.3" x 25.3" x 0.10"